Convert Adobe Illustrator files to PowerPoint. Convert Illustrator to Keynote. 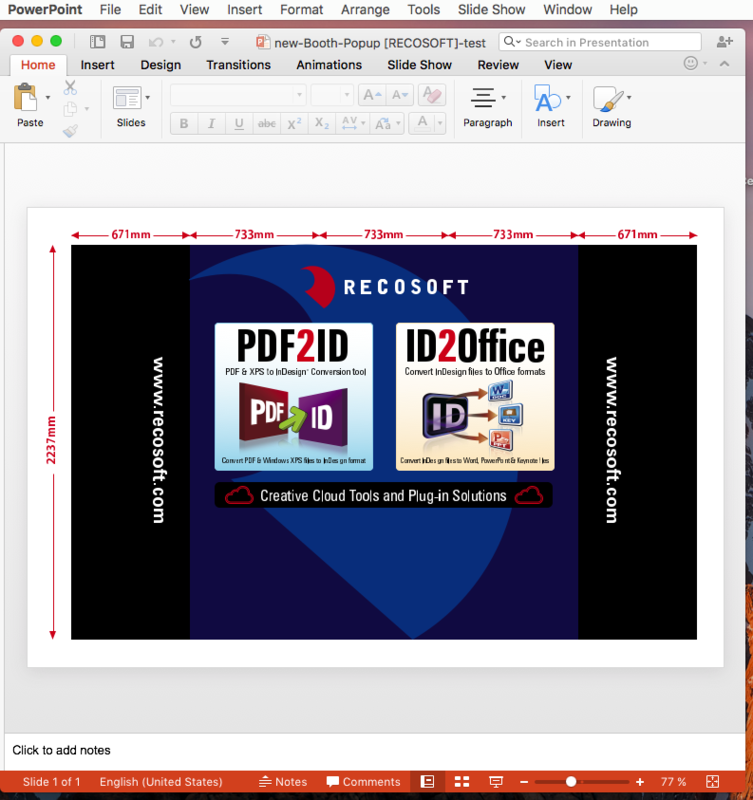 IR2Office is an Adobe® Illustrator to Microsoft PowerPoint and Apple Keynote conversion solution. Convert your Illustrator files and artboards to PowerPoint and Keynote. Watch how IR2Office for Adobe Illustrator CC allows anyone to convert (or export) Illustrator (.ai) files and the artboards to Microsoft PowerPoint (ppt) and Apple Keynote (knt) formats. This simple yet amazing tool, convert every artboard to a corresponding slide in the resulting PowerPoint and Keynote format. All vector graphics and text are live and editable in Microsoft PowerPoint and Apple Keynote from a Illustrator file. IR2Office converts the text, associated fonts, vector graphics and images and other Illustrator object and document properties to the corresponding Microsoft PowerPoint or Apple Keynote data and property format; converting every art-board to an equivalent slide in the final PowerPoint or Keynote document type. During the export process, IR2Office inspects the layout and structural details of the Illustrator document replicating the layout of the Illustrator document to the PowerPoint or Keynote file type. 2. 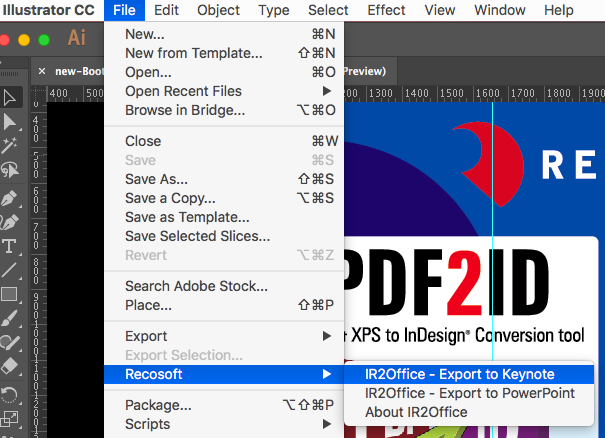 Specify the location to save the converted file and click OK. An IR2Office – Options window appears, then click on either of the options to convert the Illustrator file (artboards) to the target PowerPoint or Keynote type. 3. The Illustrator file containing all the artboards are converted to the PowerPoint or Keynote format with all text, vectors and graphics live and editable. Note: Certain Illustrator properties which can’t be mapped to PowerPoint/Keynote formats are not converted. Though the layout is maintained as accurately as possible certain properties such as text wrap around object and other layout elements at times are not maintained due to the inherent difference between Illustrator and Keynote/PowerPoint. Adobe and Illustrator are either registered trademarks or trademarks of Adobe Systems Incorporated in the United States and other countries.